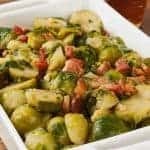 The robust flavors of brussels sprouts and baby kale are a great combination and make a terrific alternative to romaine lettuce for a Caesar salad. 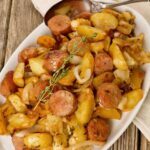 You can serve this salad as a hearty side dish for grilled steaks or pork chops, or you could opt to toss some slices of grilled chicken into the salad itself for an easy one-dish dinner. 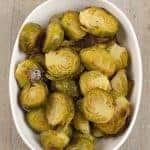 Trim about 1/4-inch from the core ends from the brussels sprouts, then cut them crosswise into very thin slices. 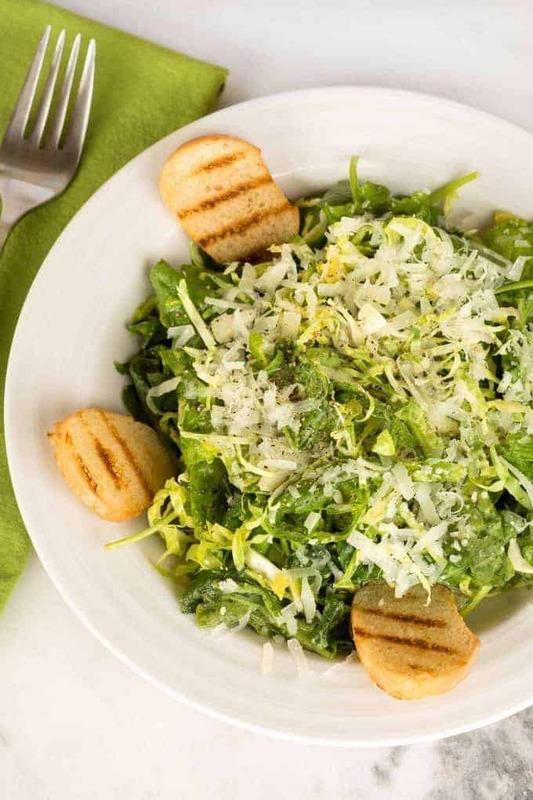 Separate the slices into shreds, transfer them to a large salad bowl and add the kale. 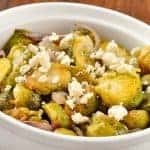 Toss the brussels sprouts and kale together and set aside while you make the dressing. 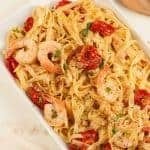 Add the olive oil, lemon juice, fish sauce, mustard, Worcestershire, garlic and egg substitute to a small bowl and whisk until well combined. 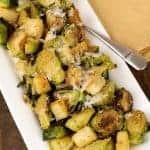 Drizzle the dressing over the salad, season with a few grinds of black pepper and toss to combine. Taste and adjust the seasoning if necessary, then add half the cheese and toss again. 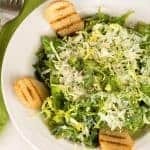 Plate individual servings of salad, sprinkle with a portion of the remaining Parmesan and top with a little extra black pepper if desired. Garnish with grilled baguette slices and serve immediately. 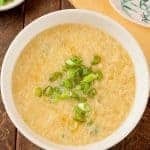 We find using Asian fish sauce a convenient and perfectly acceptable substitute for anchovies or anchovy paste in a Caesar dressing, but if you don’t keep it in the house, you can replace it with either 4 jarred or canned anchovies, rinsed, drained and mashed, or 1-1/2 to 2 teaspoons of anchovy paste from a tube. The egg substitute can be replaced by combining 1 tablespoon mayonnaise with 1 teaspoon water.